The usual suspects were in the lead after the second round of the Moose Kapene Cup competition on Saturday. Greytown beat Masterton Red Star by a hefty 69-5 to top the table on points differential from defending champions Gladstone. Both teams, who are unbeaten, have 10 points each and are followed by Marist [six]. Carterton, with five points, round out the top four on superior points differential. Martinborough and Eketahuna have five points to lead the bottom half of the table with East Coast on one point and Masterton Red Star still to open accounts. 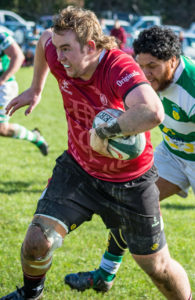 Carterton’s Maguire Smith on the charge against Marist on Saturday at Memorial Park. 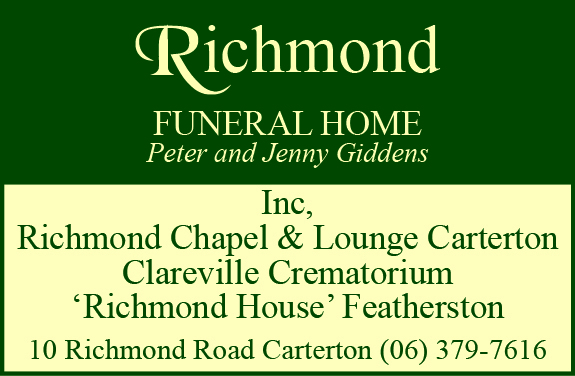 Carterton won 26-20. Carterton spoiled Marist’s Old Timers Day celebrations with a 26-20 victory at Memorial Park. Both teams played entertaining rugby – moving the ball around despite the wet conditions – and produced a thriller for the big crowd in attendance. Carterton hit the ground running, scoring through winger Lance Stevenson in the first five minutes. Marist replied with a try to Tuli Malatai after a gem of a pass from first five-eighth Bonn Wilson. James Goodger converted from right in front to put Marist up 7-5. Carterton recaptured the lead 12 minutes before the break. A chip kick led to a fine try by fullback Trent Hopwood which Cory McFadzean converted from wide out. Marist had the final say in the first half when Goodger kicked a penalty to have his side trailing by just two points going into the breather. Marist started strongly in the second half, and with Hopwood in the sin-bin after a late tackle, Bonn Wilson crashed over by the post. Goodger converted and Marist were back in front 17-12. With Hopwood back on the field, Carterton struck twice in succession. After a fine run by Adam Gordon, Hopwood went from zero to hero with his second try. Then a charge-down of an attempted cross kick had Carterton scoring again, this time through Cheyenne Harmon. McFadzean converted and Carterton looked to have sewn up the match at 26-17. With 10 minutes to go, Goodger kicked a penalty to make it 26-20. The vocal Marist supporters thought their side had a chance to steal it at the death when they crossed the line only to be bought back for obstruction. Reigning Tui Cup champions Gladstone notched their second win in as many matches, beating a plucky East Coast side 36-3. Gladstone, playing at home, led 12-3 at the break and it was only in the last 20 minutes that the scoreline blew out. The mercurial Inia Katia was a constant threat to East Coast and Cameron Hayton directed play well from first-five. Forward Joe Feast was outstanding for East Coast. Masterton Red Star showed big improvements from last weekend but were still no match for Greytown who won 69-5 at Colombo Rd. Greytown dominated the second-half holding a 98 per cent territorial advantage with Moo Moo Falaniko a powerful runner with the ball in hand. Jack Loader never gave up for Red Star who literally ran themselves into the ground. The final score did not reflect the effort Red Star put into the game came up against a well-drilled Greytown. 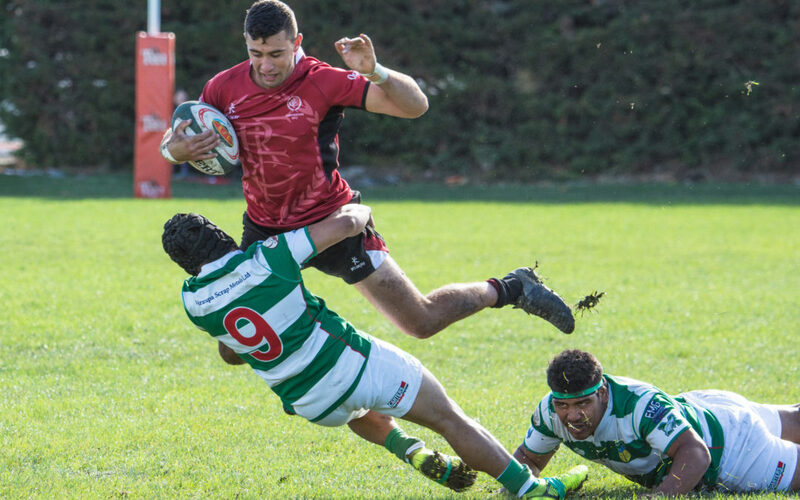 Eketahuna and Martinborough fought out a closely-contested match before the Eketahuna claimed their first win of the season, beating the home team 31-28. Eketahuna 31 Martinborough 28; Greytown 69 Masterton Red Star 5; Gladstone 36 East Coast 3; Carterton 26 Marist 20. Greytown 10 points, Gladstone 10, Marist 6, Carterton 5, Martinborough 5, Eketahuna 5, East Coast 1, Masterton Red Star 0. Puketoi 28 Marist 7; Martinborough 24 Eketahuna 21; Pioneer Old Boys 48 Gladstone 0; Carterton 43 Featherston 5; Tuhirangi 88 East Coast 17. 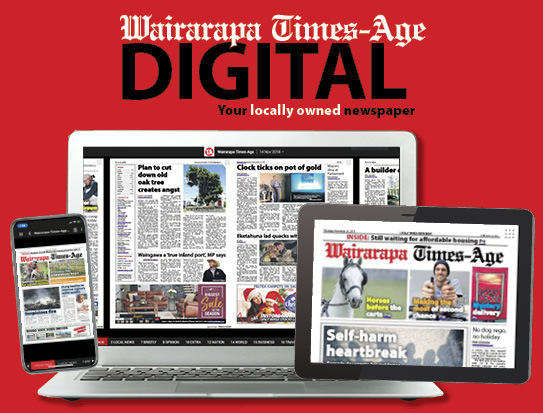 Tuhirangi 10 points, Carterton 10, Pioneer OB 7, Greytown 5, Puketoi 5, Martinborough 5, Featherston 4, Marist 2, Gladstone 1, Eketahuna 0, East Coast 0.